Provide comfort for the family of Apolonia Spera with a meaningful gesture of sympathy. Apolonia “Pauline” Spera (nee Malinowski), age 87 of Toms River, formerly of Garwood, NJ passed away peacefully on Tuesday, April 2, 2019. Visitation will take place at the Mastapeter Funeral Home, 400 Faitoute Ave., Roselle Park, on Saturday, April 6 from 2pm to 5pm. Panachida Prayer Service at 2:30 PM. Viewing will again take place at Mastapeter Funeral Home, 270 Atlantic City Blvd. (Rt. 9), Bayville, on Sunday, April 7 from 2pm to 5pm. The Funeral Mass will be offered on Monday, April 8 at St. Joseph Church, 685 Hooper Ave., Toms River, at 10:30am. Interment at St. Joseph Cemetery, Toms River. Born in Newark to Walter and Frances Malinowski, she attended West High School and St. Michael’s School of Nursing, Newark. Pauline lived in Irvington before moving to Garwood where she raised her family. She retired in 1991 and moved to Holiday City, Toms River. Pauline worked as a dedicated Nurse at Irvington General Hospital and later as a Pediatric Nurse for over twenty-five years in the Office of Dr. Burton Feinsmith of Westfield. 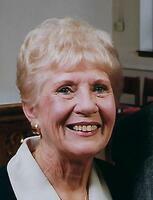 She was an active member of the Church of St. Ann, Garwood where she was a member of the Choir and Rosary Society. She continued this dedicated service to St. Joseph Church, Toms River as a member of their Choir and Rosary Society. She was active with Caregivers of Toms River and served on the Holiday Heights First Aid Squad for over twenty years. She and her husband Frank enjoyed boating and were active members of the Raritan Bay Power Squadron. She was predeceased by her husband of 62 years the late Frank J. “Sonny” Spera, her parents Walter and Frances Malinowski, and her grandson Thomas J Greer. She is survived by her children Thomas and his wife Judy of Garwood, Bonnie Greer and her husband Tom of Point Phillips, PA, the Very Rev. James F. Spera, Pastor of the Church of the Assumption, Roselle Park, dear of sister Irene Voegels of Sabastian, FL and Walter of Debary, FL, and her dog “Buddy”. She is also survived by seven Grandchildren and eleven Great-Grandchildren. 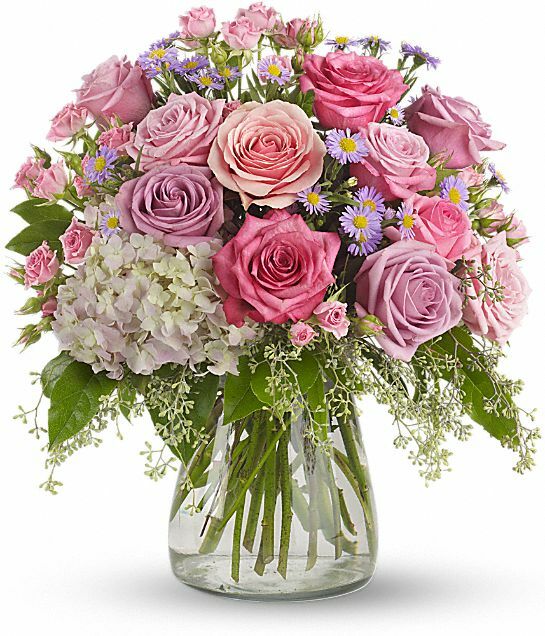 In lieu of flowers, please make donations to the Church of the Assumption Sanctuary Fund or the Holiday Heights First Aid Squad. Panachida prayer service will be Saturday, April 6, 2019 at 2:30pm. Please be at the funeral home 9am. We encourage you to share your most beloved memories of Apolonia here, so that the family and other loved ones can always see it. You can upload cherished photographs, or share your favorite stories, and can even comment on those shared by others. Dear family, Please accept my condolences regarding the passing of your loved one, Ms. Spera. The pain that results from the death of a loved one can be intense and unbearable. However, I want you to know that our Heavenly Father, Jehovah, understands your sorrow and that I certainly have heartfelt empathy for you all. Right now, I know your hearts are heavy because of this trial. However, in God’s Word, the Bible (Acts 24:15), He assures us that our loved ones, who are now resting, will be resurrected in the future. This is wonderful NEWS…which I hope will mitigate some of the grief that you are feeling right now. For more information regarding the FUTURE PROMISES of our Heavenly Father, I invite you to visit JW.org. The memories of the times we shared, bind us together in love forever. With heartfelt condolences. Scot, Irma, Christopher and Tomas Robertson purchased the Your Light Shines for the family of Apolonia Spera.